There is one word in that prayer that stands out, shining like a brilliant star against the vast expanse of a dark sky. It is an idea rarely considered, seldom praised. In this world of instant information, endless gadgets, strivings for success, fortune, fame, power, and pleasure - servants are rare. Those who are willing to forego their own pleasure, their own fame, their own honor - to serve someone else. This idea is so radical, so absolutely contrary to our modern culture and mindset, which says you have to strive and grasp and fight and lie and cheat and steal in order to get yours. You’d better look out for #1, because no one else will. If we really stop and take inventory - it’s disgusting. Like being slimed by an overly aggressive salesman that has no tact. But there is something I am yet unable to articulate about the beauty and purity of serving God. There is something wholesome about it. The selfless consideration of God and others at the expense of our own convenience. There comes a point when servanthood touches the safety blanket of our comfort zone. That is the point when we find out what’s really in our heart - to be self-serving or God-serving. I know a woman who is a servant. She is a rare jewel. I silently watched for 18 months as day-in and day-out she gave of herself to an elderly woman who could not take care of herself. Underpaid and underappreciated, she shopped for, cooked for, bathed, fellowshipped and loved this elderly woman. She stood by her side at hospital visits, ensuring she received quality care, demanding accountability. She drove her across the country to see her children and grandchildren. She became her dear friend. It was obvious it wasn’t just a job to serve her; she wasn’t just going through the motions as she worked 18 hour days, having only 4 days off each month. She will not go without a reward. She is a servant, and I am honored to call her my wife. 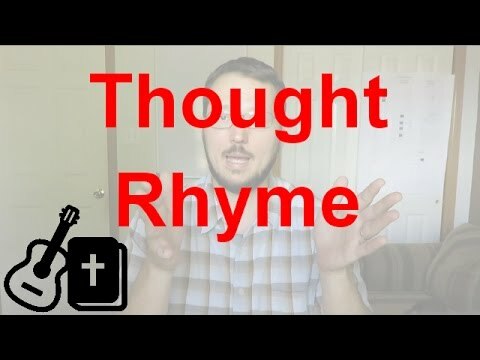 If the Psalms are poetry, why don't they Rhyme? Listen to the Psalms on YouTube! If you like Psalmples, check out Psallos!